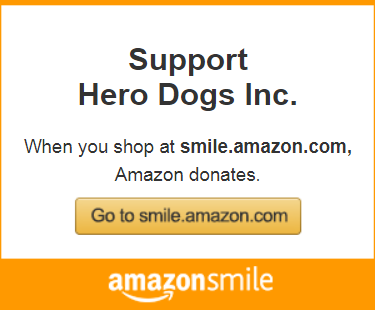 You can now order Hero Dogs logowear directly through Lands’ End Business Outfitters! The entire process is not as automated or as quick as the regular Lands’ End website, but we switched to them for more choices and better quality merchandise. In our experience, the website doesn’t seem to operate happily in Firefox; we recommend Internet Explorer or Google Chrome. Please contact Lands’ End Business (1-800-587-1541, Monday-Friday 7am-7pm CT) directly with any questions. Create a Lands’ End Business account (yes, even if you already have a regular Lands’ End account). Find the item(s) you would like to purchase and enter the quantity. Select a Logo by clicking on the logo with the color combination that you want. Scroll down and click Chest Left Side. When you are finished shopping, click Proceed to Checkout. When you are on the checkout screen there is a place for a Promo Code. Oftentimes there is a code for free embroidery and/or free shipping. click here to see if there is a promo code on Lands’ End main Business Page. if there is not, then click here to search google for a Lands’ End Business Promo Code. Enter the code, click Apply (if it doesn’t work, try a different one).